Justice League was an entertaining film to watch, but it wasn’t the epic culmination of Snyder’s trilogy we’ve been waiting for. Since the Marvel/DC comparison is an inevitability, I’ll start with that. Instead of learning from marvel less than adequate treatment of their female heroes, Whedon recycled almost the same thing he was criticized heavily for in Age of Ultron. His reshoots were painfully obvious due to the rushed CGI, and after reading Whedon’s atrocious Wonder Woman script, seeing the treatment of the Amazonians, and Wonder Woman herself being underpowered, one should wonder if Batgirl is safe in his hands. When Man of Steel and Batman v Superman came out, the DCEU distinguished themselves with a unique and a thought provoking tone that doesn’t work well with critics, but resonated with fans enough to make the former mentioned films still talked about till today. 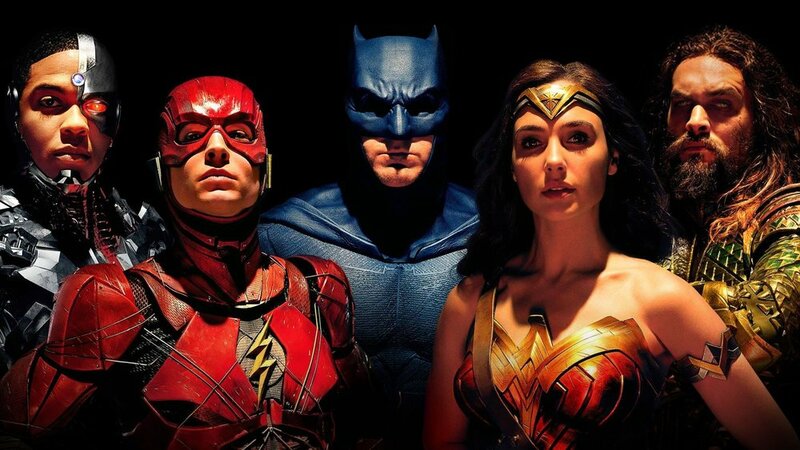 Justice League was Warner Bro’s effort to appeal to critics, but in doing so they lost both critics and some some fans. I would’ve liked for some of the scenes in the trailer to make it in the movie. It’s fun and diverting. The villain is weak, but giving him a bigger story arc would take away from the limited time used to introduce The Flash, Aquaman and Cyborg. Some parts felt rushed, giving the impression that they could’ve used an extra thirty minutes or so. One of the most satisfying thing in Justice League is Superman, even if I had to suffer seeing his CGI shaved face. The stunning buildup of “Cavill’s” Superman was consistent, and the result was nothing short of epic. Snyder’s vision shines through his notably epic visuals. You would easily distinguish them even if five directors worked on the same film. The team’s dynamic is smooth, and the chemistry between them is explosive. “Ezra Miller’s” Flash and “Jason Momoa’s” Aquaman were a great addition, I can’t wait for their solo movies. But Cyborg was the real scene stealer, he was easily the heart of the movie. “Ray Fisher” plays the complexity of his character so simplify that it felt like the most real performance in the movie. You can’t really call Justice League a bad film. It’s not as good as Snyder’s previous DC movies, but not as bad as Suicide Squad. It was more than acceptable for Zack Snyder to step away from the Justice League due to family tragedy, and I think fans would’ve supported WB decision if they would have chosen to delay it till 2018. I left the theater not completely satisfied, but also not disappointed. If a director cut is in the future, I would be the first to buy it.